On the right two women, facing right, sit close to a round pot on a tripod under which is a fire. The pot shows a sharp transition from body to shoulder and has a double rim Something is being cooked in the pot. The woman on the right – only her head and left hand are depicted – is holding a spoon in her left hand. Next to her sits another woman. She is kneeling in front of the pot and is holding a tube in her right hand. One end is close to her chin. Her left elbow rests on her left knee and her hand is pointing downwards. The cooking takes place in the open air. The tripod was in all probability made of metal. The pot on it could either have been made of metal or of clay. 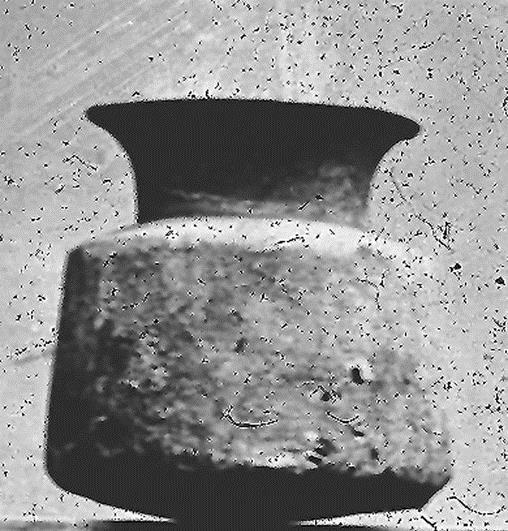 The pot has a sharp inclination it its body, and a double rim, features that are common on metal pots but not on clay ones. The spoon held by the woman bears similarity with bronze spoons found in Central Java and wooden spoons which are nowadays still used to stir the rice if one prepares nasi liwêt in an earthenware pot in Bali. In the round object held by the other woman one may recognize a bamboo tube used to stimulate the fire in a stove or under a cooking pot on a tripod. I have not found an Old Javanese term for such an object for cooking, but I found the term porot for a bronze pipe used by goldsmiths for blowing in a mass of liquid gold. BRONZE COOKING POT, DANG One may wonder what the women are preparing. It is worth noting that on this relief women are preparing food, and not men. 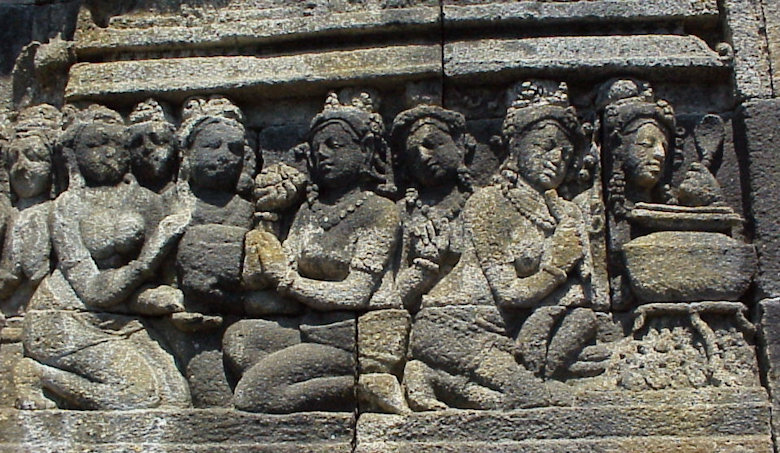 When men engaged in food preparation are depicted on Borobudur reliefs, they are preparing and cooking meat (humans, turtles) and fish.